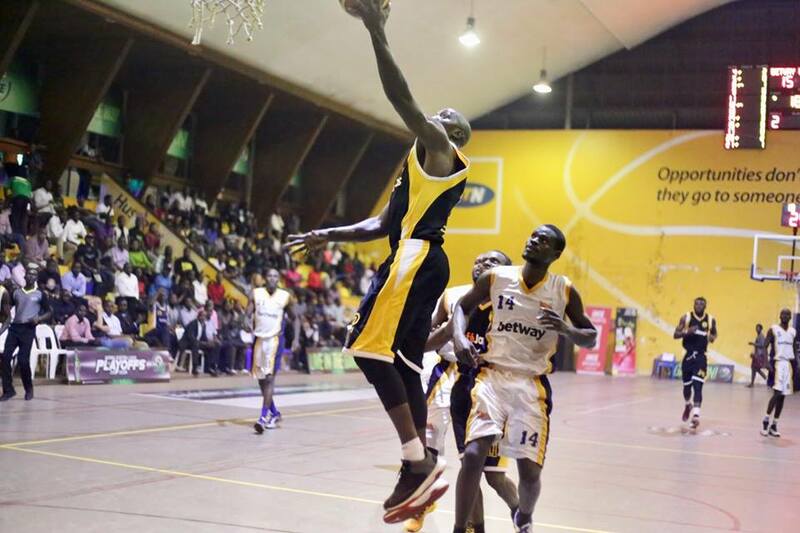 LUGOGO – Five-time league defending champions City Oilers moved to within a victory of winning a sixth successive crown after defeating BetWay Power 83-72 in game four of the best of seven FUBA National Basketball League Men’s finals on Wednesday night at Lugogo. Victory in game four meant that the City Oil bankrolled side now take a commanding 3-1 lead in the series and a win on Friday would mean they retain their title and move level with Falcons atop the most successful side in Ugandan Basketball standings. Oilers started strongly, posting the first five points of the first quarter thanks to Stephen Omony’s layup and a three off a jump shot. However, Power responded immediately, going on a run of 9-0 and taking a four-point lead with just over four minutes of the quarter played. In the last five or so minutes of the first quarter, Oilers restricted Power to only six points whilst the defending champions grabbed 15 of their own en route to a 20-15 victory. At the start of the second, Ben Komakech increased Oilers’ lead to seven but Philip Amanyi responded instantly to bring it back to five. Both sides traded points from there on and when Stephen Wundi sank two quick layups with 4:52 to play, the lead was cut to just three points (32-29 in Oliers’ favour). From there, Oilers went on a run of 7-0 but could only look on as Power won the second 26-24 and cutting the lead to three points (44-41). The third was another close affair as both sides defended splendidly but the defending champions won it 14-12 with the scoreboard reading 58-53 in their favour. Oilers tried to seal it early in the fourth, going on a run of 8-1 to hold a 12 point lead and despite Power trying so hard to stay in it, they just couldn’t balance offence and attack as they lost 83-72 in the end. On the night, Omony posted a game-high 22 points and added seven rebounds, four assists to his impressive display. Tony Drileba (18), James Okello (13) and Ben Komakech (13) were the others who reached double-figures in terms of points for Oilers. Despite the defeat, Philip Amenyi registered his first double double of the series with 11 points and as many rebounds. Paul Odong top-scored for Power with 21 points as Geoffrey Soro managed 12 of his own in the losing effort. Game five is on Friday evening at the MTN Arena in Lugogo.